A 16-year-old girl allegedly committed suicide by hanging over the Maratha reservation issue in Maharashtra's Ahmednagar district, police said on Tuesday. Kishori Baban Kanade, Class 11 student of the Radhabai Kale Mahila Mahavidyalaya, hanged herself on Monday afternoon from a ceiling fan in her hostel room, Topkhana police station Inspector Vishal Sanas said. The girl mentioned that she faced "injustice" only because she has was born in the Maratha community. She expressed hope that her sacrifice would boost the movement for reservation to the Maratha community, the police official said. Expressing shock over Kanade's death, the college principal, Dinkar Patil, said the girl was academically bright. 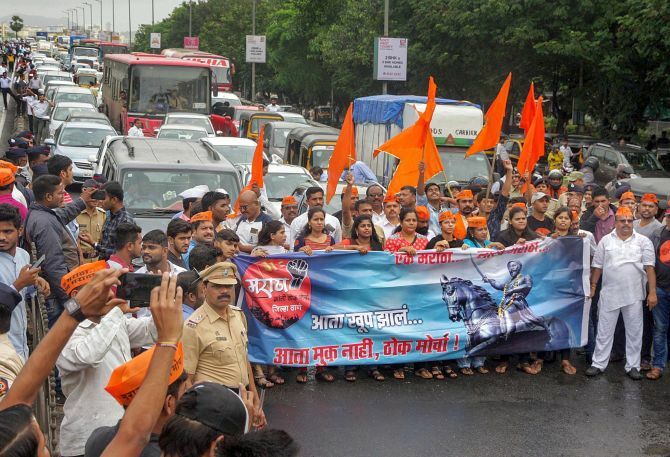 Some Maratha organisations held the state government responsible for the girl's suicide. Marathas, a politically influential community that constitutes around 30 per cent of the state's population, have been demanding 16 per cent reservation in government jobs and education. The community had in July launched an agitation which witnessed violence at several places in the state.